A couple weeks ago I sent my husband and oldest son off to Oregon to visit his grandfather. It was spring break, we had frequent flyer miles, and his parents were coming up for the girls' party so they only had to fly one way. It worked out perfectly! The only catch (besides having to get up at 4am!) was sending food for them to eat that would be easy. Lucky for me, I'd just been sent a couple boxes of some new PROBAR flavors to try out. Last year we tried their Fruition bars (now called Fuel) and seriously loved them so I was curious to try a different line. Let me say right up front, I definitely have strong preferences so anything I didn't like you might, but overall I thought they were pretty good. Worth buying, especially for trips where you need pre-packaged food. We tried both the PROBAR Meal and the PROBAR Core. They are two separate products so I'll give you a short list of the pros and cons of each. My favorite was definitely the PROBAR Meal. When something is touted as a meal, most times I come away thinking it was barely an appetizer. Not so with these. At 3oz each they feel heavy and with 10g of protein they last longer than a granola bar. There are 4 new flavors that we tried and while normally I will instantly pick anything chocolate mint I was not a fan of their mint (nor in the Core bar below). I did like the other three flavors quite well though: Chocolate Coconut, Oatmeal Raisin, and Superberry & Greens (this last one was my son's favorite). I can read all the ingredients on the label! 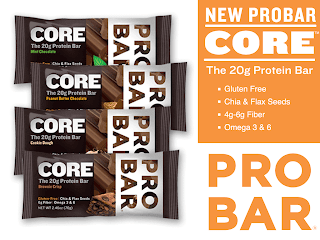 The other PROBAR we tried was the Core and while I wanted to like them... I just didn't. I think the main reason was after eating a couple all the flavors just started to taste the same, like the soy that was the main ingredient. My husband really liked these though, so different tastes for different people. PROBAR would like to offer all my readers a 40% discount on your first time order. You must shop through this link and enter the code BLOGGER at checkout to get the discount. 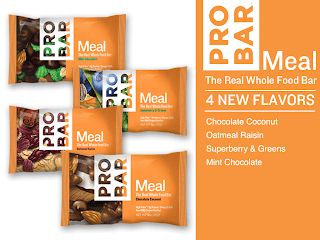 Win a box of the Meal bars in your choice of flavor (or a mixed box)! Just enter below by telling me which flavor you'd like to try! 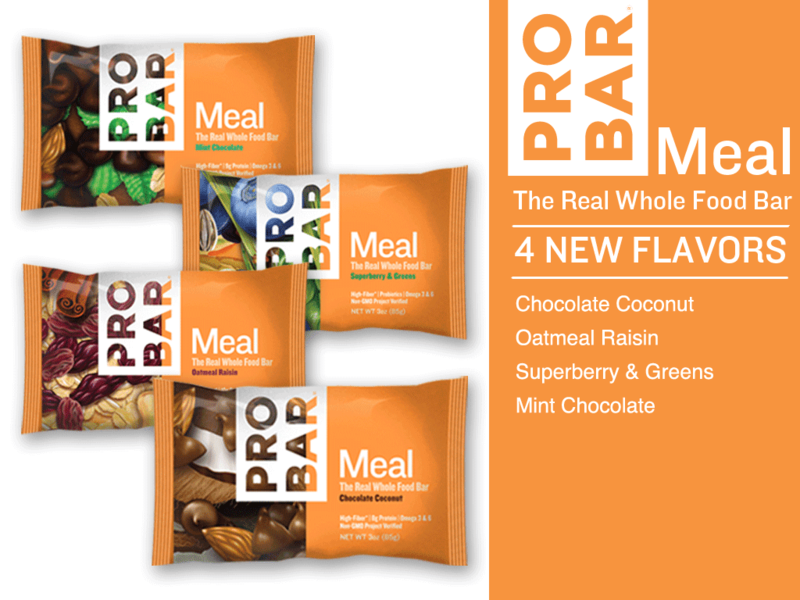 Don't forget to follow THE PROBAR on Facebook for news and updates! I received these products for review purposes only. I was not compensated in any way other than the product I received to facilitate my review. All opinions are my own! I think I'm with C and would like to try the Superberry and Greens. How's the texture? Are they like Cliff Bars or more like a granola bar? The peanut butter meal bars sound great, so do the core cookie dough! I used to buy the blueberry fruition bars frequently but they were like a light snack. The meal bar would be perfect for the nights i have to work late since i always end up either starving or having random snacks that arent satisfying. I love peanut butter and chocolate so I'd like to try the Peanut Butter/Chocolate Chip Meal Bars. Mmmmmm can't decide hhhhhmmmm ok the superberry and greens.